Make life easier for your clients and more profitable for your practice. AutoEntry automates data entry for bills, receipts, sales invoices, bank and card statements and more. Simply scan, take a photo with our mobile app, or send your documents via email and AutoEntry will do the rest. Download a PDF version of this App Checklist to keep and share with your clients. 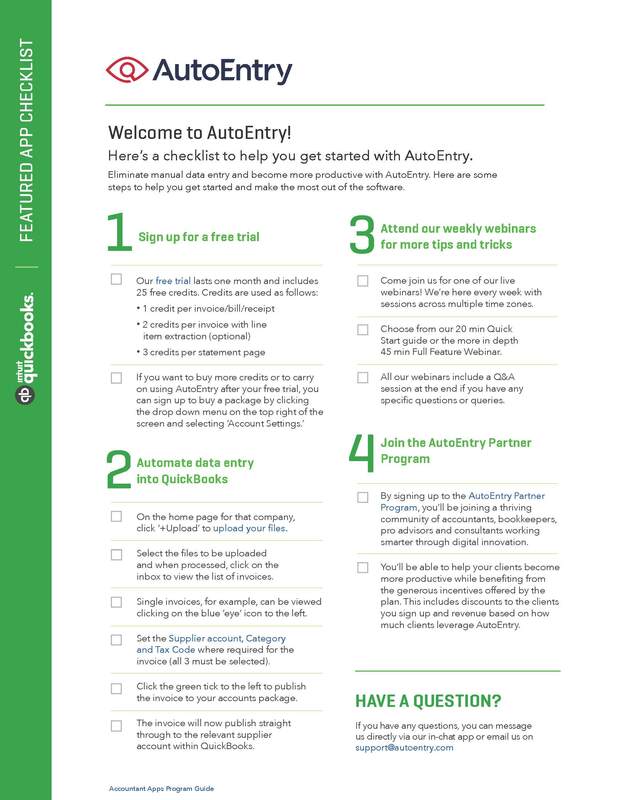 Editor’s note: Check out this AutoEntry Case Study and Fact Sheet.